Cetonia Shipping AB, is a privately owned, free-standing shipping and forwarding company in the northern part of Sweden, for the region of Norrland and the region of Bothnia. We act freely on all the transport markets and for the benefit of our customers as well as our business associates. 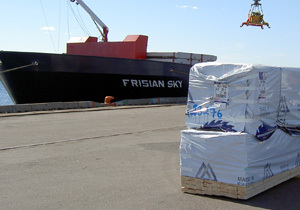 That includes all kind of international transports, sales promotion, cargo bookings, ship clearances etc. We do not own any vehicles, ships or terminals, instead we try to find the best solution for a specific transport or a long time running contract. We select the best pieces, which gives us the possibility of providing tailormade transports as well as reliable Shipping Line services.